Choosing balustrades for staircases, balconies and terraces is an important component of new constructions or renovation projects. However, many homeowners make judgement calls on balustrades that in hindsight may turn out to be unpractical choices. According to Miami Stainless, the Top 5 mistakes people make when choosing balustrades for their home are: Undue focus on aesthetics; self-installation; considering price in isolation; ignoring maintenance issues; and selecting a style incongruous with the setting. Miami Stainless advises homeowners to spend some time considering available options in balustrades including style, design, material and finish before making their final selection. 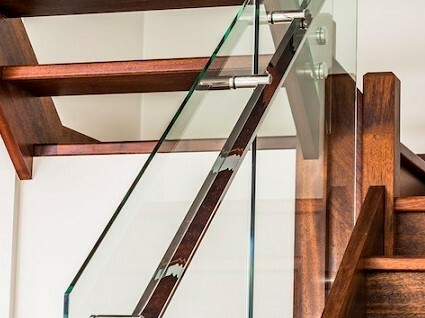 The Top 5 errors of judgement are detailed below and will help homeowners avoid making similar mistakes when choosing balustrades for their homes. Aesthetics is an important part of balustrade design, but the final decision shouldn’t entirely be based on appearances alone. While a particular balustrade style may appeal to you in terms of adding value to the overall design of the house, practical considerations such as safety shouldn’t be ignored. Selecting a style that will not prevent a person from falling over the side of a staircase or picking a design with slippery handrails, for instance, are choices one will regret eventually. Balustrades are not ornamental fixtures on a home but important structural components that should only be professionally installed by experienced tradespeople. Only homeowners with excellent DIY skills and several years of professional experience in the home improvement industry should attempt to install balustrades. Preferably choose a local contractor with a good reputation and full liability insurance or a company that can provide positive references and testimonials. Of course, if your balustrades are specifically designed for DIY installation, go for it. When a balustrade is selected solely on the basis of its price, it’s as risky as choosing one based merely on its designer looks. While the cheapest option may be the best option in certain applications, often it is not. Simply considering the price to the exclusion of all other factors such as design, safety, durability, installation ease and delivery times, may not be a wise decision. So first shortlist a few styles that fit your needs and then examine the costs associated with each type to finalise a model that will actually meet all of your needs as well as your budget. Imagine investing a large sum of money in an elaborately carved mahogany balustrade that quickly falls into a state of disrepair because you cannot find a local craftsman to maintain it. Would you install a balustrade that features large panes of glass in a house with young children, requiring you to constantly wipe off dirty fingerprints? You need to think about how easy your new balustrade will be to maintain and keep clean before you make a final decision. Consider the architectural style of your home before selecting your balustrade. For instance, a stainless steel and glass balustrade model would be at odds with a traditional townhouse, or carved wooden balusters can look equally out of place in modern homes. Discuss your requirements with the Miami Stainless team before choosing the right balustrades for your next home improvement project.